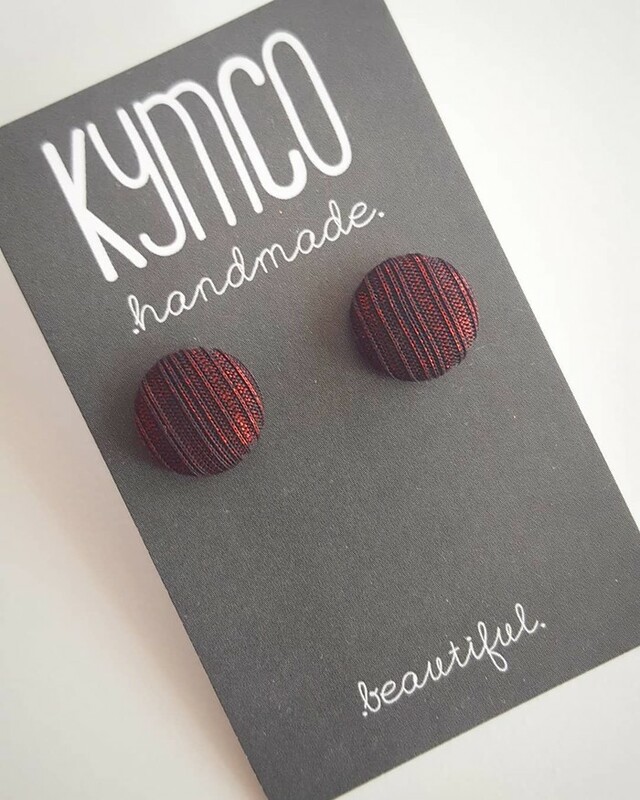 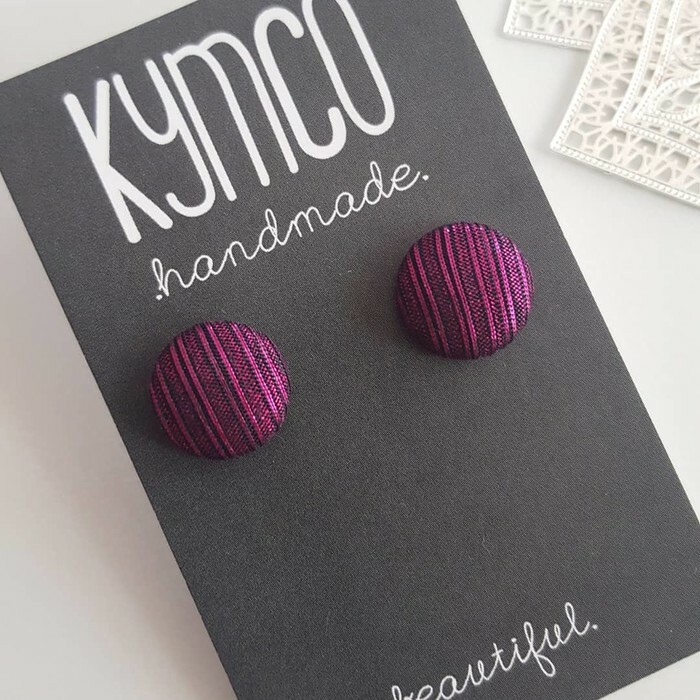 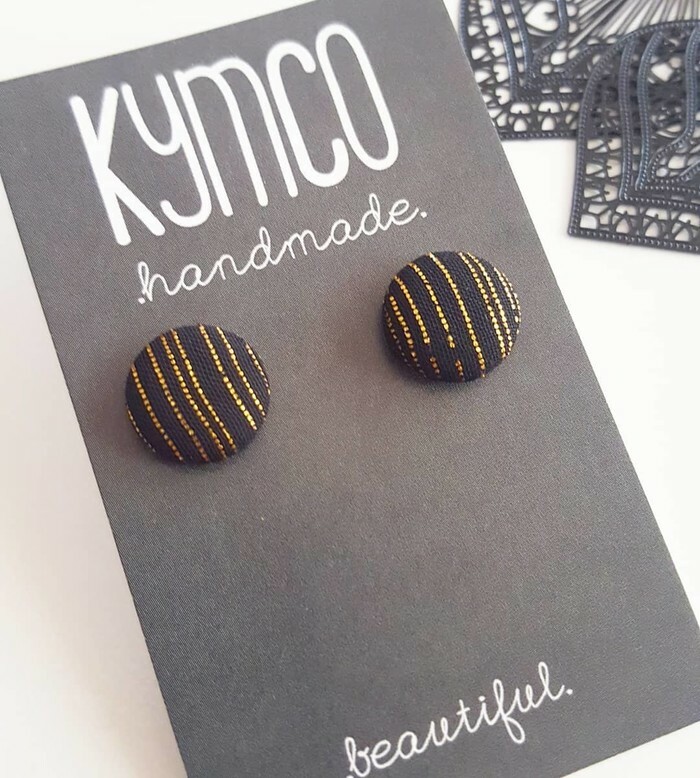 These stunning earrings will add a special touch to any outfit with a handmade fabric shimmer button, ready for you from KymCo Handmade. 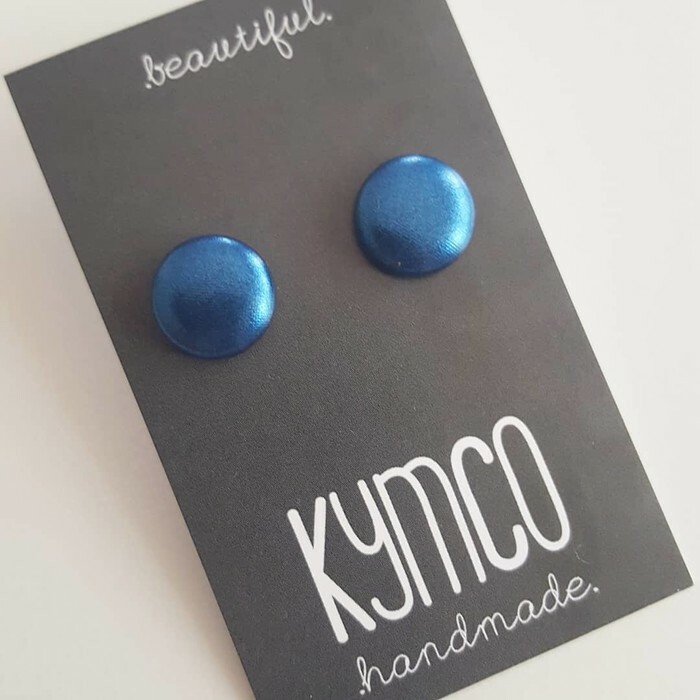 Please make comment at checkout to indicate your preferred colour/s. 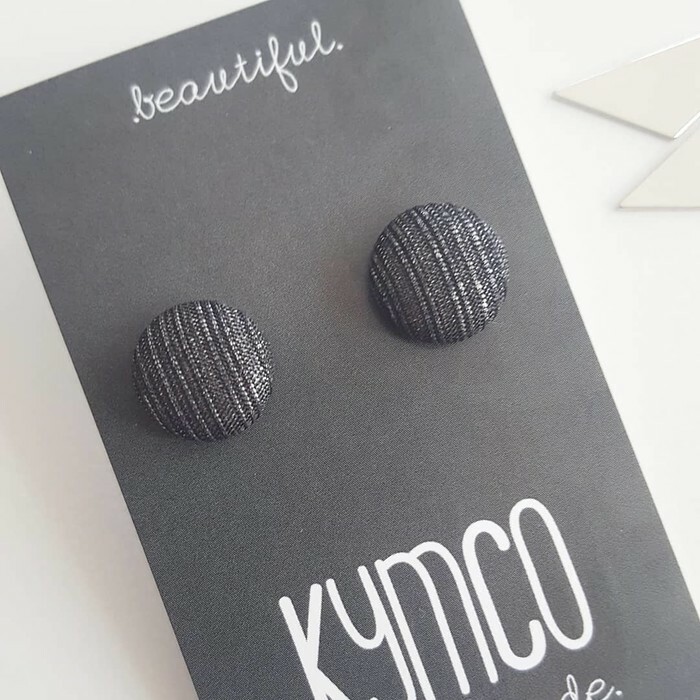 Default colour is black shimmer.